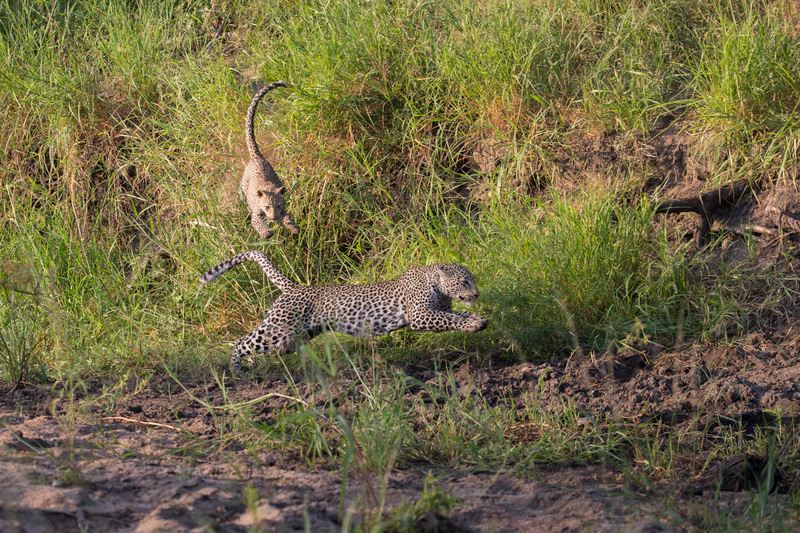 The beauty of Londolozi is that it draws people from all walks of life together through a shared passion for nature. Jacqui Hemphill, Londolozi’s Head of Sales, started as a camp manager here in 2007, and then after a brief time away, returned to head up the Sales Division. 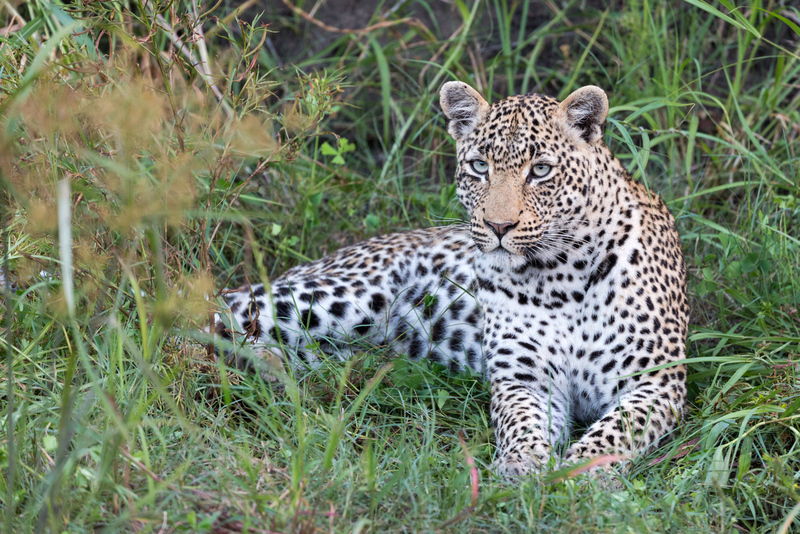 Being based in Johannesburg, Jacqui doesn’t get down to the bush as often as she would like these days, but her job fortunately requires her to visit the lodge every couple of months or so. 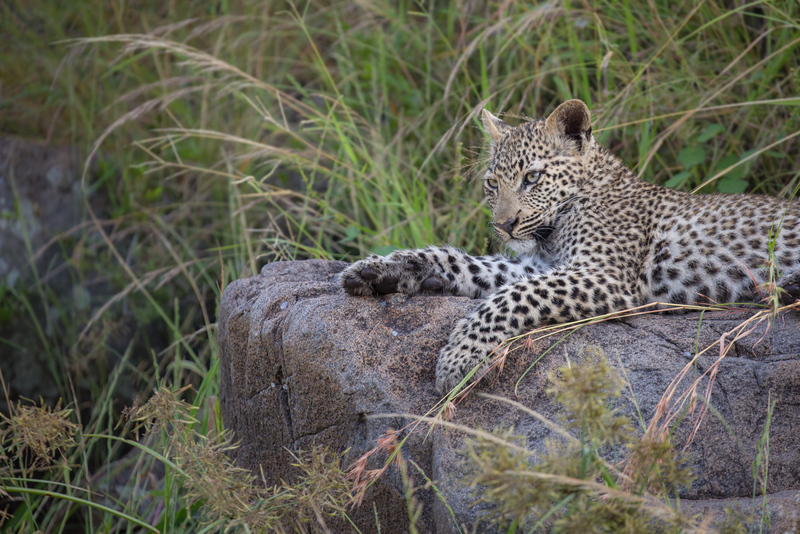 Not one to miss an opportunity, Jax jumps on every game drive she can to further hone her photographic skills (she has won competitions for her work), and often joins Amy and I when we head out to film. 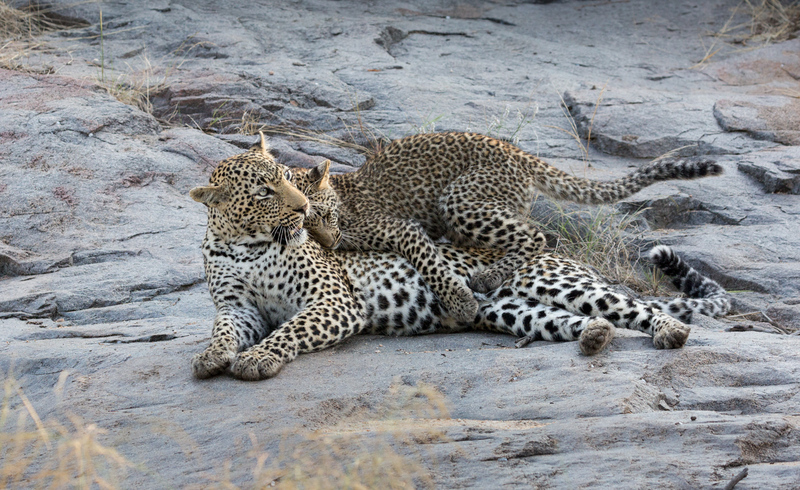 Jax and I have shared some memorable sightings at Londolozi together, but our recent one of the Nanga female and her cub has to be the best by a long way. 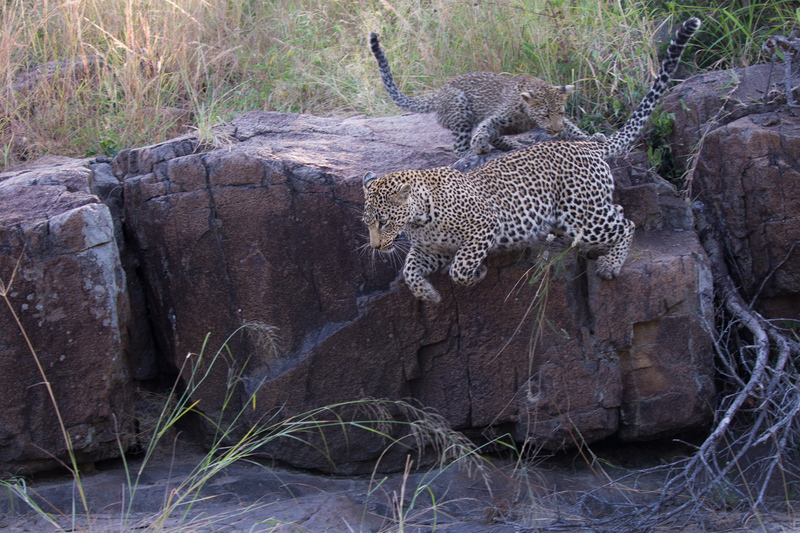 In fact I would go as far as to say it was one of my top leopard sightings ever! 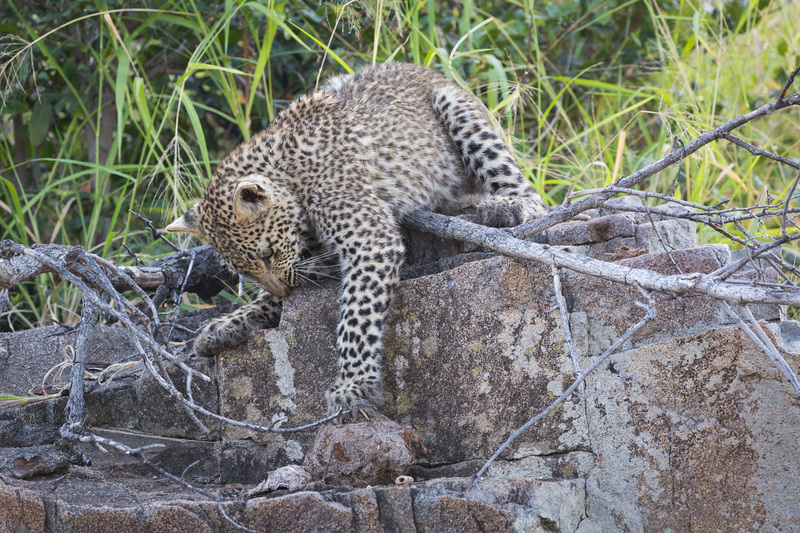 For over an hour we watched as the two leopards chased each other through the sands of the Manyelethi rivebed, across boulders and up and down trees. The sighting itself was utter magic, but the fact that it was just us two friends enjoying it together made it that much more special. 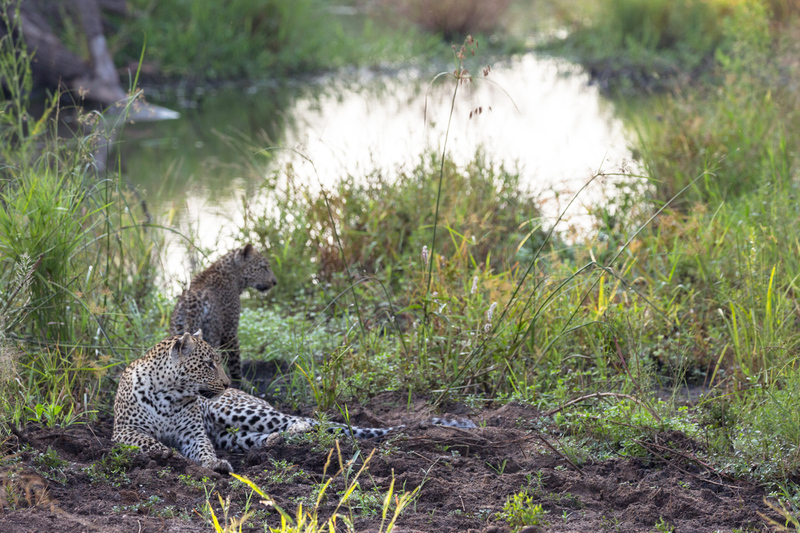 With over 2000ha to ourselves on the northern side of the Sand River that morning, it was an incredible privilege spending time in the company of the two leopards, and highlighted how lucky we are to do what we do. 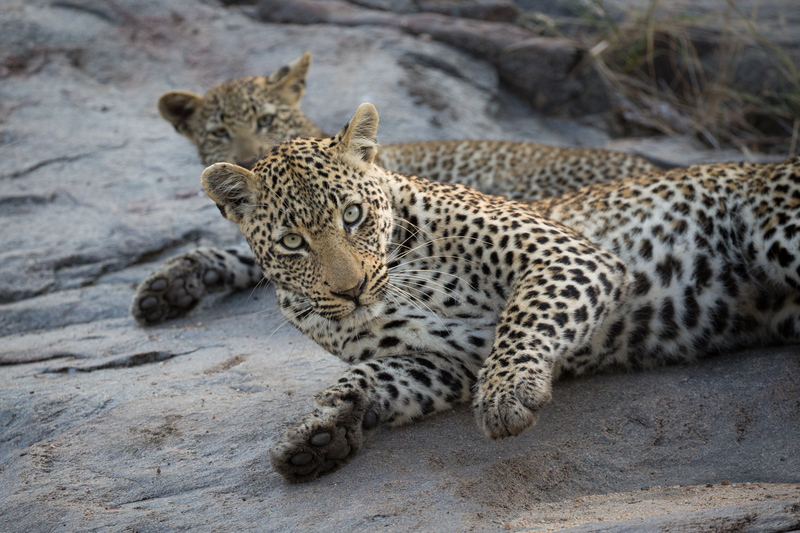 With the long grass of summer very prevalent across the Nanga female’s territory, we were lucky to have the two leopards in a dry riverbed, where the viewing was much more open. Great Pictures of my favorite friends. 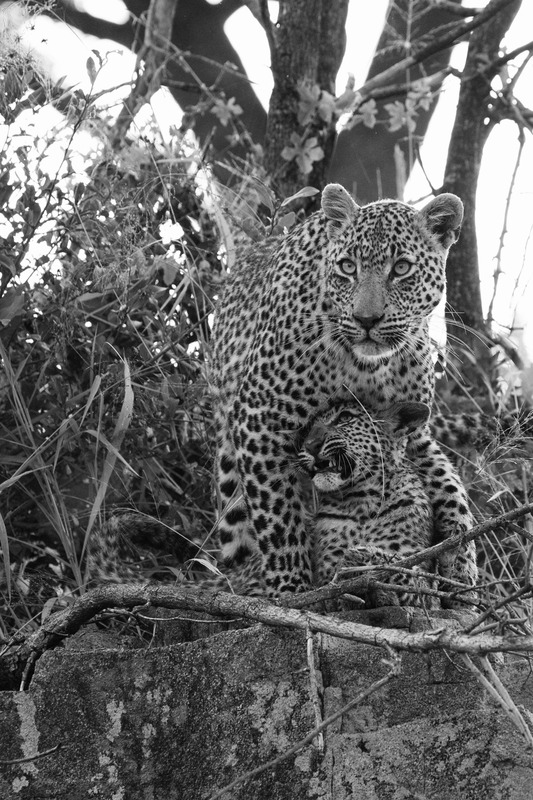 What a fantastic experience it was to see Nanga and her cub like this! The images are wonderful and the video brings it all to life. Thanks! Absolutely gorgeous thanks for sharing! I am so envious! 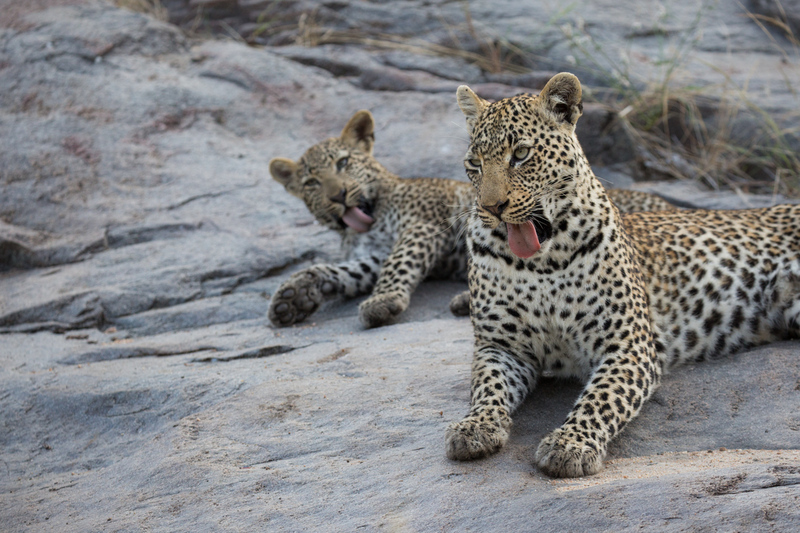 The leopard is my favorite animal and the interactions between mama and a cub are the best! Loved the photos! Thanks. Beautiful blog James and Jacqui. The pictures and video are awesome. 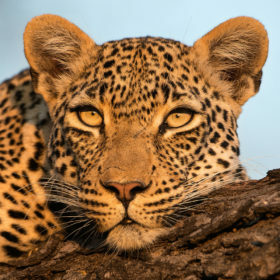 Love leopards. Thank you both. These pics/video are so awesome and so appreciated. It been 4 years and I still carry the Nanga leopard in my heart. 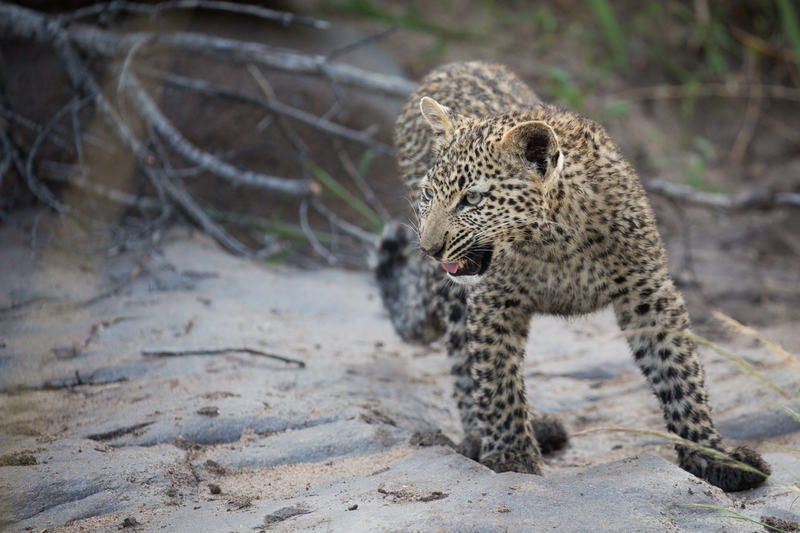 To see her with this cub gives me hope that she will be successful in raising it to maturity. Thanks so much for this post! All we can say is WOW! 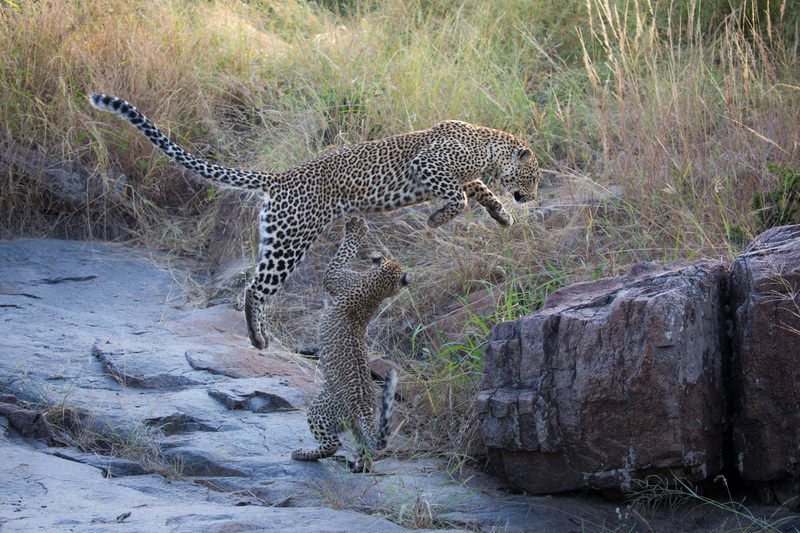 What a fantastic sighting – loved the video! Brilliant love these images abd details here. About the lions another subject i know but it has been too quiet lately..majings? Matimbas and birmingham boys? 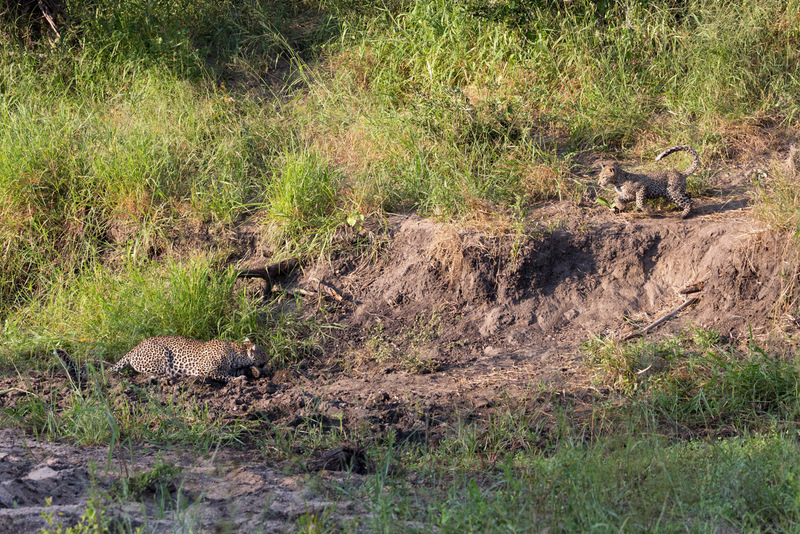 The rogues seen near the air strip sabi sands? And im sure there are more that i cant remember now coalitions prides movements take overs ? Etc…i miss hearing about them and seing them .the lion is my 2nd most favourite animal 1st being the bengal tiger which kind of ties with wolves and african dogs! 🙂 …i look forward to hearing about young male lions making something of themselves establishing their presence over other males and females …facing other male lions in combat roars heard here and there coalitions marching..drama. What a great gift! Thank you!! 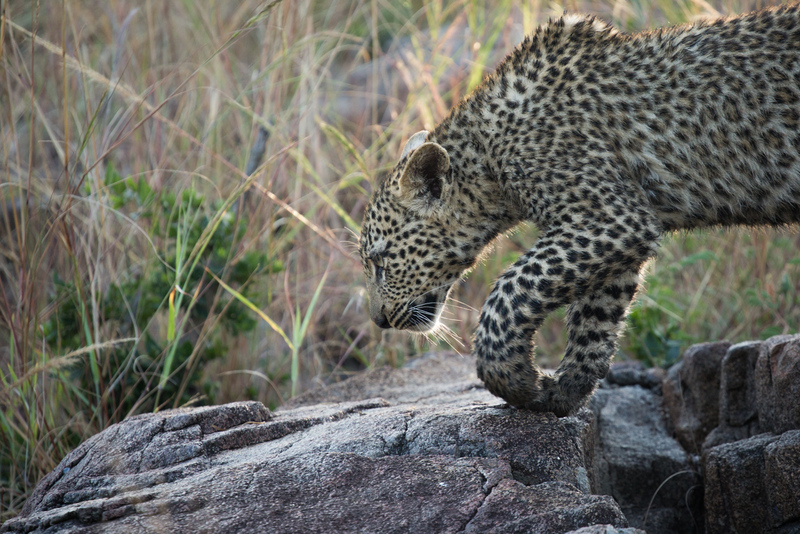 HI JAMES, WHAT A SIGHTING AND SUCH GREAT SHOTS! 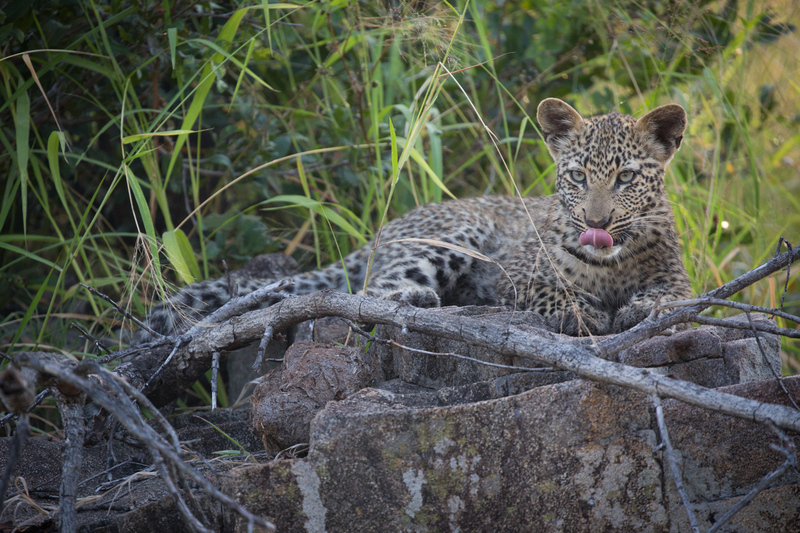 CONGRATULATIONS AND THANKS FOR THE VIDEO AS WELL AS SHARING THIS AMAZING SIGHTING AND PHOTOGRAPHS. I CANNOT WAIT FOR MY VISIT IN JULY! It was a truly spectacular sighting! Africa has so many of the greatest animals on earth! What amazing photographs and such a special video of the most beautiful cat on earth. Thank you for sharing this incredible experience with us James! 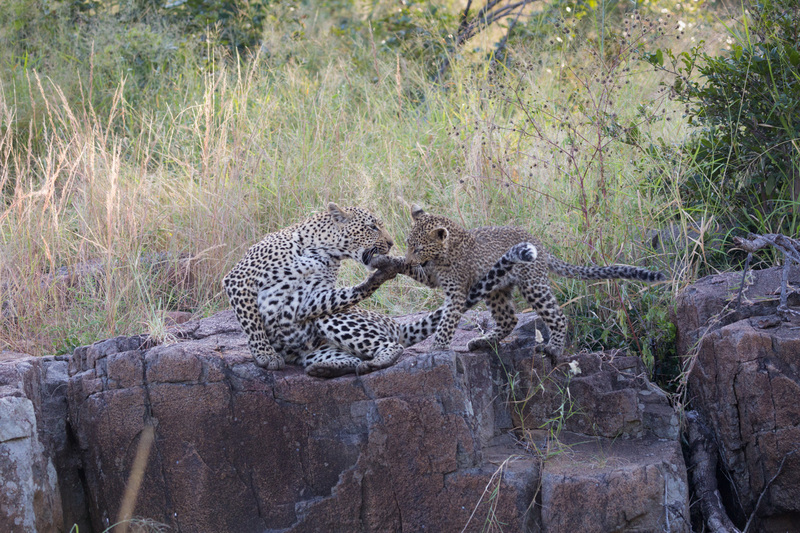 What an absolute joy to watch the Leopard and cub at play.